Our Heat Shield for the Mossberg 20" M590A1 is designed specifically for Heavy Walled Barrels. This heat shield will install on bead and ghost ring barrels. All steel and with a matchng factory finish, this shield fits correctly, looks great and will stand up to the most demanding conditions. Simple, no gunsmithing installation. Comes complete with mounting hardware and installation instructions. (*Is not compatable with Magpul forends.) 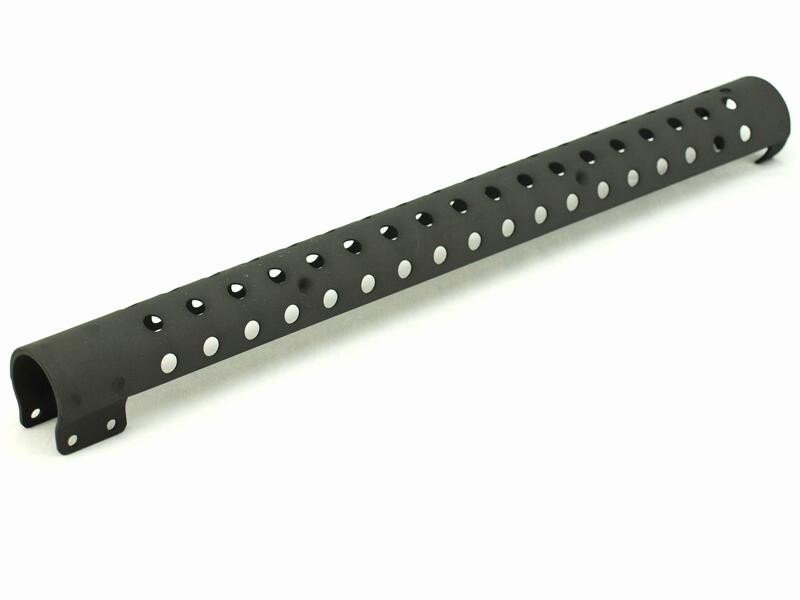 This part FITS the 20" Heavy Barrrel and we have determined that it will also fit the new 18.5" M590A1 #50774 & #50776 models with a 7 round magazine tube. If you have any other 18.5" barrel models please see PN 100185. Title : “Great addition for your Mossburg 590A1”! Review : I own the Mossburg 590A1 and have been looking high and low for a heat shield that specifically fits this model. Finally I found this one. Here are my thoughts. Pros: Great construction, solid. Parkerised finish matches factory finish. Great fit and looks good when Installed. Cons: A bit on the pricey side. Instructions for installation were well written but could have used a few illustrations for a quicker install. All in all I am satisfied with this product and would recommend it to all 590A1 owners. Looks great!